We are excited to be partnering with Hayton Farms this year to offer an add on of fresh local organic berries! 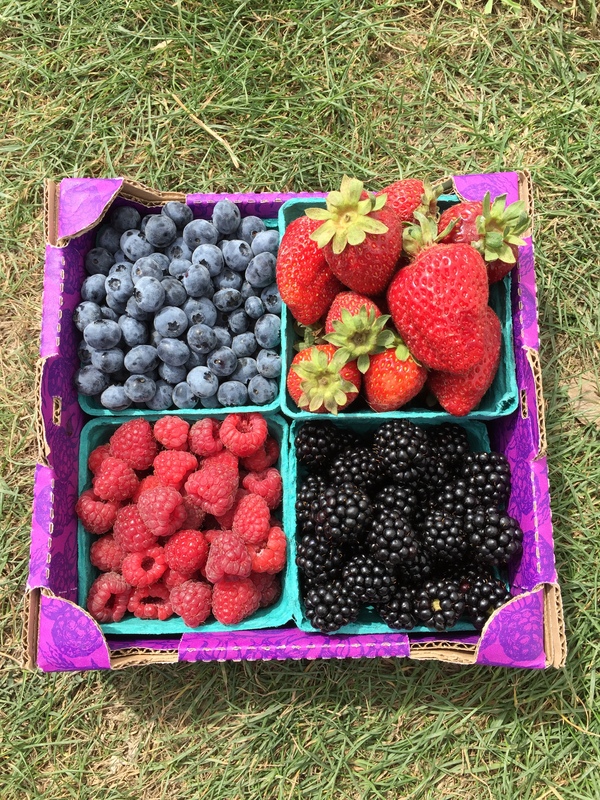 Hayton Farms is a 5th generation, organic berry farm less than 20 miles from our farm in the fertile Skagit valley. They specialize in berries, strawberries, raspberries, blackberries and blueberries. They offer multiple varieties of each, meaning lots of variety! If you’ve been to any of the local farmers markets, you’ve seen them. They are at over 80 different markets each week!!! We are going to be offering 1/3 flats, that’s four pints (or two quarts) of berries. They will be seasonal, so there may be a lot of strawberries at some times, more blueberries at others. If you really love fresh fruits and berries, you can add on more than one fruit share. 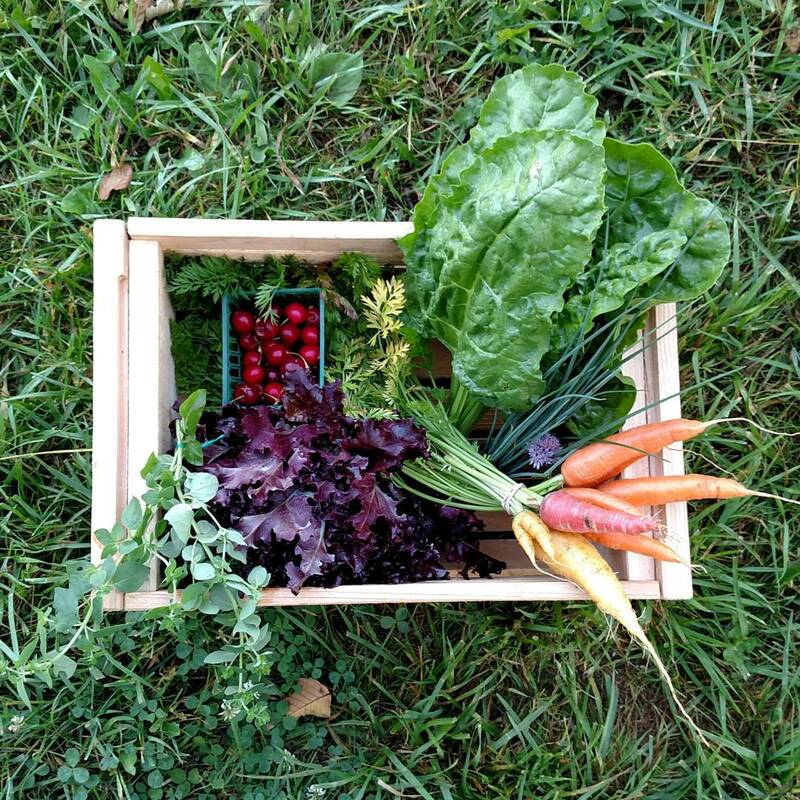 If you select delivery, your berries will come with the rest of your CSA share at no extra charge. We hope to be able to offer some bulk buys during the season for folks who want to do some canning as well. The cost for the first share is $204 for 17 weeks. You can add a second share for an additional $195. 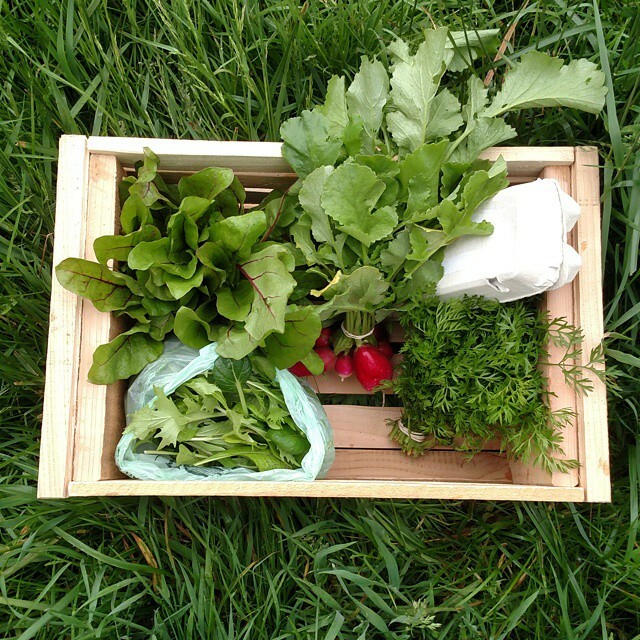 In addition, we will be coordinating bulk buys for canning and preserving for our CSA members. Here’s the CSA Sign Up link!!! This entry was posted in CSA and tagged Arlington CSA, Camano Island CSA, CSA, family farm, Local, Local food, Organic, Seasonal, Stanwood, Stanwood CSA on February 24, 2016 by adalynfarm. 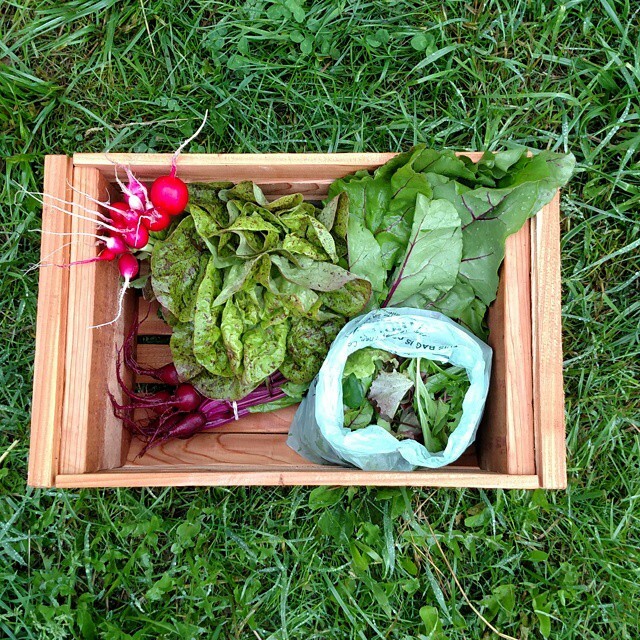 We are past week 8 for our CSA. We had some issues at the beginning (really before the beginning) that made us delay the start by two weeks. We still got it all rolling in May (which was the goal, since most other truly local CSA’s don’t start till June) so that was a success. Although the garden plan didn’t take into account the off farm job, and the impact that had on the seeding schedule, things are rolling along. We still have 17 more weeks go to, and we are just now seeding some things for near the end of the CSA for this summer. Until this week, we have been considering the shares “half shares”. Week 6 is the first share that we would consider full sized. Now for a little show and tell. We are finishing up the work on our pricing and options for the 2016 season. Sign up forms will be on-line soon! Options to include farm fresh meat are part of the mix… Whole Diet CSA. 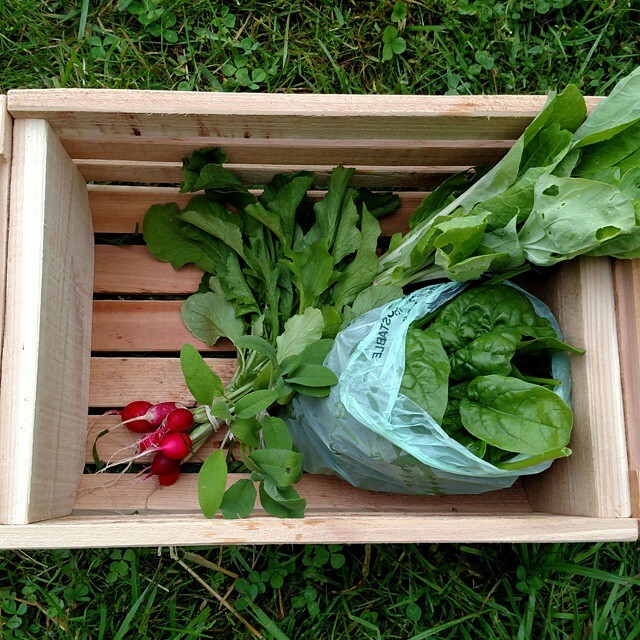 We are also talking about a fall CSA. A little more laid back (bi-weekly pickup? ), with a per week rate if a hard freeze ends the season before we expect it to. It would be a bit of a test run, with one season of a CSA under our belt, and having enjoyed winter greens through the new year this last season, we are as ever, optimistic! There is also the thought in the back of this farmer’s mind, that if it went well, as in, better than he optimistically hopes it might, the full time farming timetable might get move up a bit. There are still some capitalization hurdles to get over, but hope is what drives us. This entry was posted in CSA, Farmer Adam, Food and tagged Arlington, Camano Island, CSA, family farm, Local food, Organic Food, Stanwood on July 13, 2015 by adalynfarm. 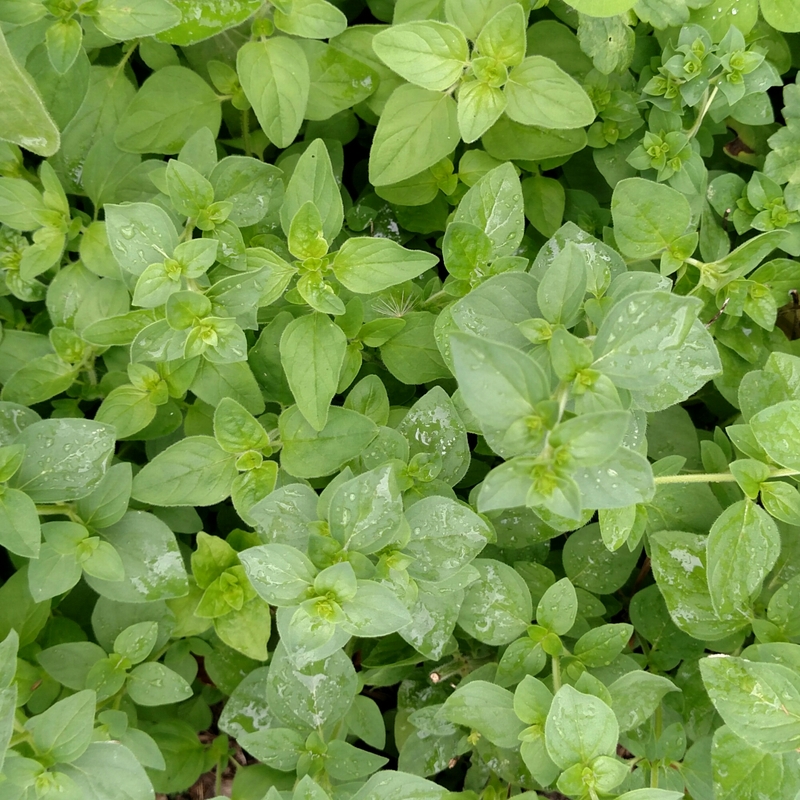 Oregano. We trimmed this several weeks ago for our CSA, and today I was thinking about how it’s grown back stronger and better since we trimmed it. Although at the time it looked rough. We feel the same way right now, rough. Hebrews 11:1 talks about faith in things not yet seen. While that perspective fits with farming on any given day, it is especially true for us right now. We are at the point on our transition to farming, that we need to step out in faith, towards our goal. Right now, that means opening the order forms to start accepting deposits and orders for 2016. It also means making the go/no go decision on a winter CSA/Farm Share. 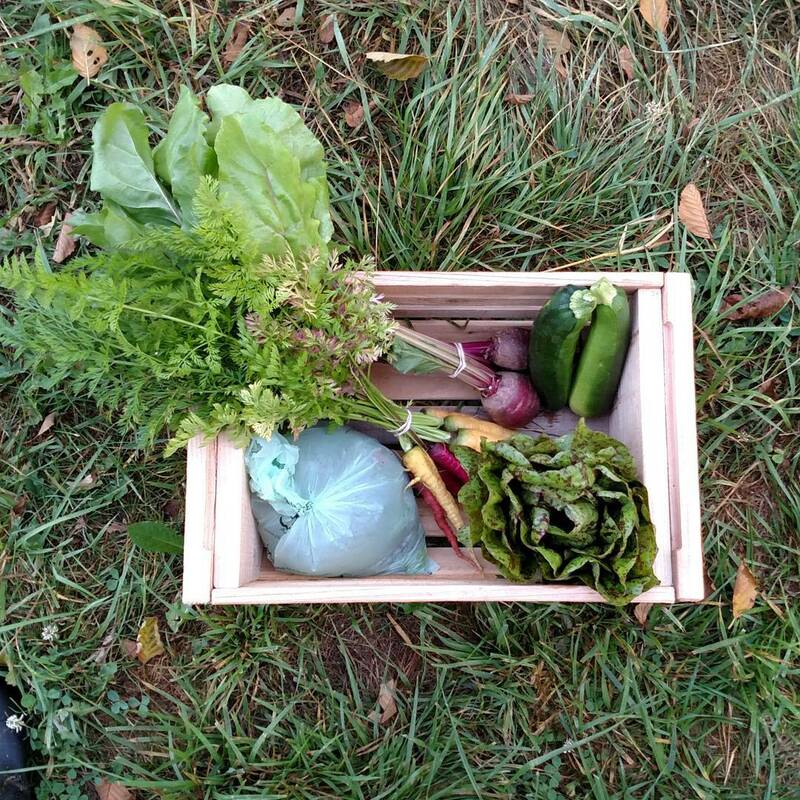 We think our community would like access to local fresh vegetables through the winter, but we can’t be sure. We are also not sure that enough folks would find out in time to put us at the threshold to go for it. The winter CSA/Farm Share decision is also complected by my full time job. If we offered it, I would need almost all of the daylight hours to get the planting done in August and September, to be able to have the veggies grown for the winter. I have a very understanding boss, but I’m not going to ask him to pay me while I do a bunch of fall planting. Having faith doesn’t mean making poor decisions though, and there are just a few more details to work out, before we open the store. 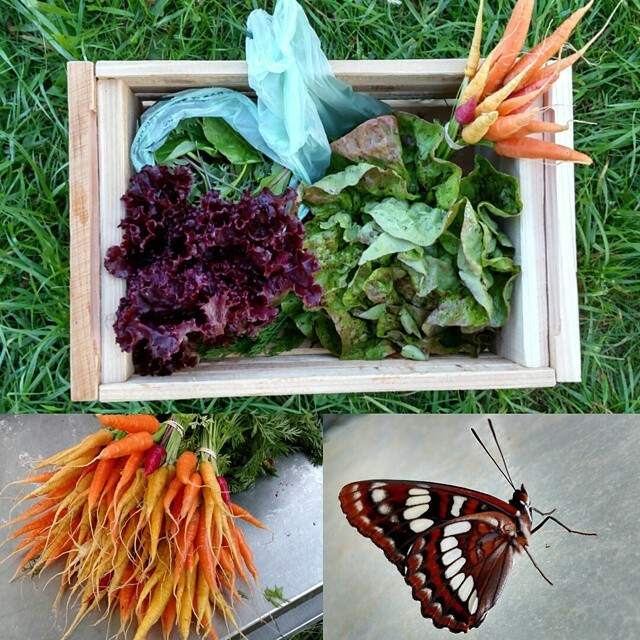 This entry was posted in CSA, Farmer Adam and tagged Camano Island, CSA, local produce, Organic, small scale farming, Stanwood, Sustainable farming on July 12, 2015 by adalynfarm. 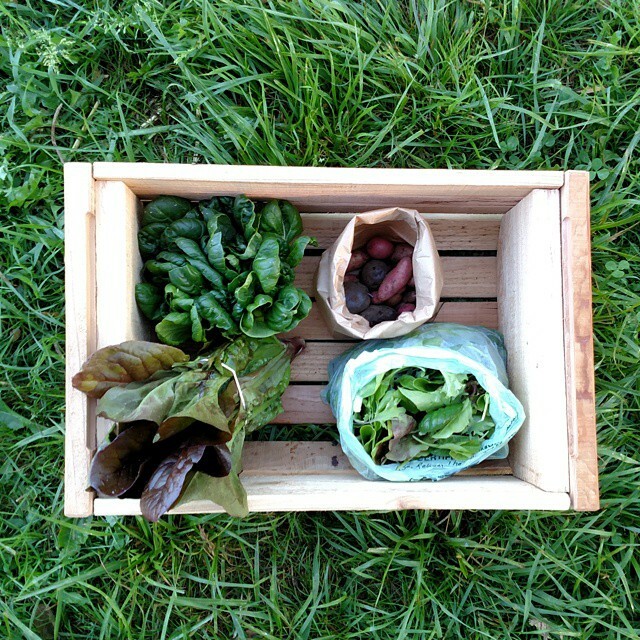 First CSA share is out! Yep, we are underway! 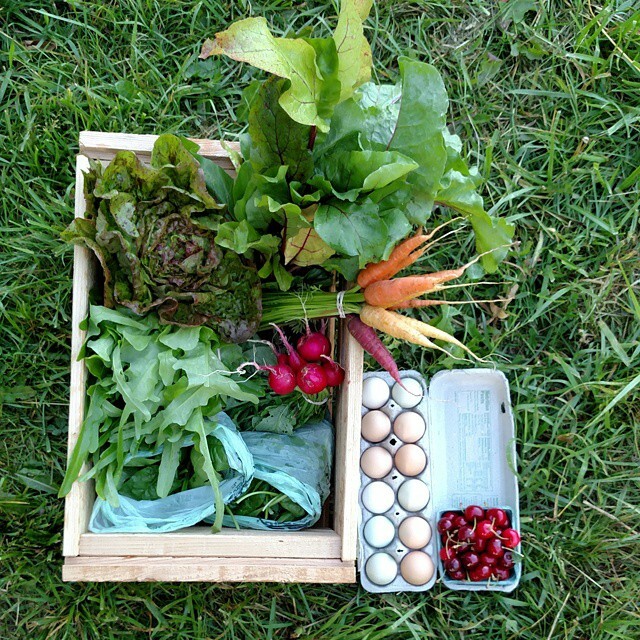 Our first CSA share went out last Wednesday. This year is a test year, so 10 shares, and only on-farm pickup. We are keeping it simple, and trying to make all the mistakes we possibly can. Every. Single. One. The good news is we are making lots of mistakes, the better news is that we are still seeing some success despite the the mistakes! Our little Farm-ily has been wonderfully supportive. We got thank you notes, and words of encouragement back in early spring, before we even had anything in the ground. It was heart warming. And now that the first shares are down the driveway, we are getting more support, encouragement and some very kind words. Here’s what one of our customers posted. I think she actually had dinner before we did, and arguably might have been the first to get cooking with the greens! Our gorgeous dinner, with big thanks to @adalynfarmboy and @adalynfarmgirl for their first CSA week! “Evoo in pan, salt & pepper chicken thighs, and brown in the pan. When they’re browned on one side, flip, then add a chopped onion and a couple hand fulls of quartered baby cremini mushrooms. More salt, lower heat, then arrange so the chicken is resting on top of veggies. Then I drizzled with about 2-3T of balsamic and let cook another 10 min or so. Lastly, add a couple handfuls of whatever greens you like (I used those beet greens) and just cook for another minute or two. Key is to not over cook the greens! It’s a long season ahead of us, with problems we don’t even know we will need to fix yet, we also know it’s full of sunshine, smiles and some of the best time’s we have ever had. We are truly excited to share our farm with this wonderful group of people. We are also just barely starting to think about next season, if your interested, drop us a note farmers at adalynfarm.com, we’ll keep you in the loop. This entry was posted in CSA, Farmer Adam, Food and tagged CSA, Local food, locally grown, Organic, Produce on May 27, 2015 by adalynfarm.